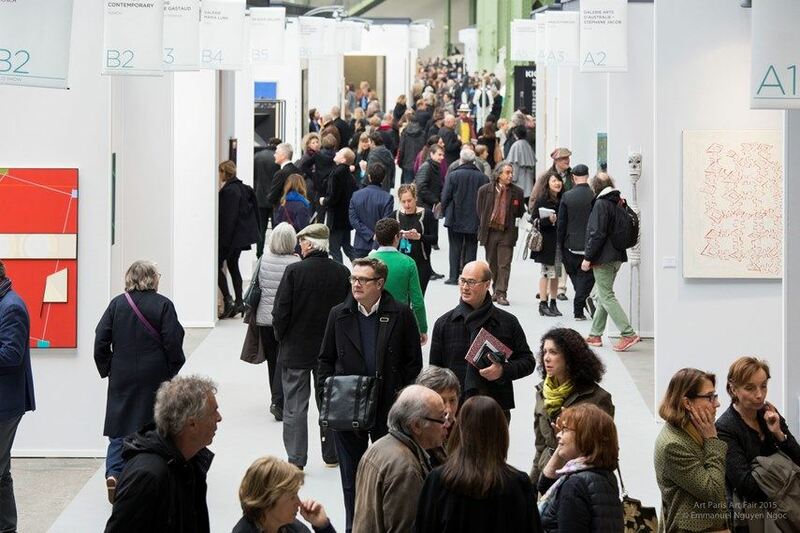 One of the European most significant art fairs – Art Paris art fair – is about to be launched soon! 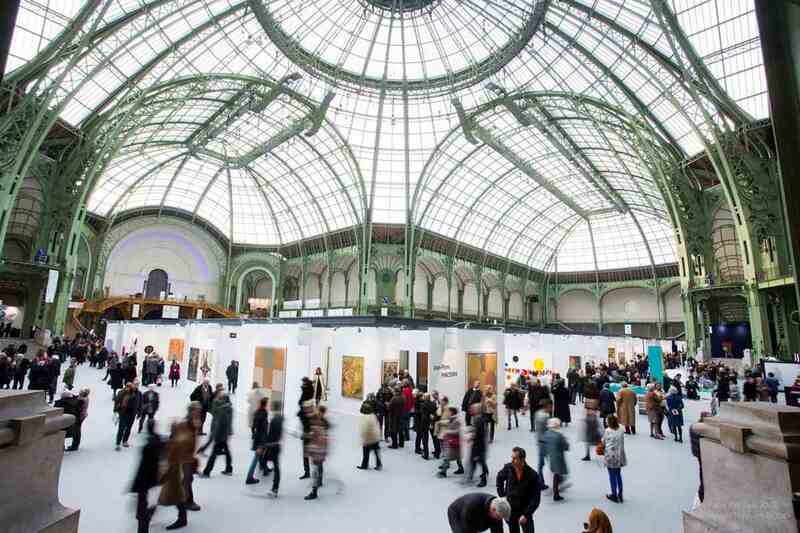 Art Paris Art Fair presents an overview of art from the post-war period to the present day. The thematic sections focus on discovery in particular with this year’s Korea guest of honor project, personal exhibitions in the Solo Show section, emerging talents with the Promises section for young galleries and digital art with monumental projections on the façade of Grand Palais. This year’s edition brings together 143 galleries from 20 countries which includes for the first time Azerbaijan, Colombia and Iran. With 58 newcomers, the 2016 edition maintains the 48% of foreign galleries and 52% of French galleries. 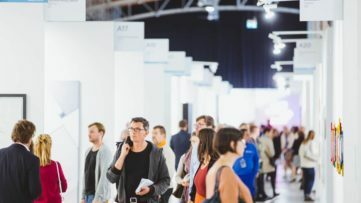 Art Paris Art Fair continues to attract leading international galleries such as Daniel Templon (Paris), Sundaram Tagore (New York, Hong Kong, Singapore) and Flowers (London, New York). The 2016 selection is particularly focused on exploring the different regions of Europe and its cities, each with their own individual identities such as Zurich, Munich and Milan. 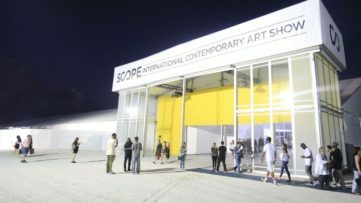 Their galleries have an artistic vision which reflects passion and commitment, like an antidote to the prevailing uniformization seen in so many art fairs. 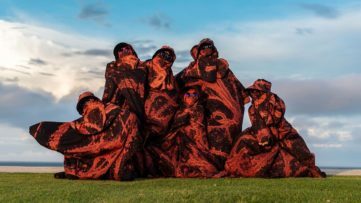 First-time participants include Bob Gysin (Zurich), Art Bartschi & Cie (Geneva), La Balsa Arte (Bogota), Silk Road (Tehran), Studio Visconti (Milan) with a comeback from Ditesheim & Maffei Fine Art (Neuchatel). In terms of French participants, Art Paris Art Fair gives pride of place to regional galleries with three participants from Marseille (Galerie Didier Gouvernnec, Ogor and Béa-Ba & Najuma), two galleries from Bordeaux (DX and Xénon), and one each from Lille (Cédric Bacqueville), Lyon (Françoise Besson), Rennes (Oniris) and Strasburg (Galerie Jean-Pierre Ritsch Fisch). Newcomers from Paris include RX, Eric Dupont, MAGNIN-A and Françoise Paviot while Sèvres-Cité de la Céramique returns this year. Be sure to visit the booths of Galerie Ernst Hilger (Vienna), Gana Art Gallery (Seoul), Galerie Géraldine Banier (Paris), 10 Chancery Lane Gallery (Hong Kong), and others, of course. Under the leadership of guest curator Sang-a Chun, the invitation of South Korea as guest of honor highlights the vast wealth of the art scene from the Land of Morning Calm. With close to 70 artists represented by galleries both from Korea (Seoul, Daegu and Paju-Si) and some 20 Western galleries, this project spans the emergence of very specific forms of contemporary art from the 1960s to the present day boom in creativity. The first generation of modernists is represented with artists such as Ungno Lee, a historic figure who produced an innovative body of work at the crossroads between Eastern and Western traditions, shown by Galerie Thessa Herold in a personal exhibition. Others include masters of Dansaekhwa, the mysterious Korean art of monochrome painting, such as Lee Ufan and Myeong-Ro Youn represented by Gana Art gallery. Also on show are some of the leading figures of the contemporary scene such as Moon-Pil Shim (Galerie Lahumière and Shilla Gallery), Lee Bae (Galerie RX), Kwang Young Chun (Sundaram Tagore Gallery and Omer Tiroche Contemporary Art) and BOOMOON (Flowers Gallery). As part of the celebrations of France-Korea year, exhibitions and installations of Korean art will be visible throughout the capital during Art Paris Art Fair. IBU Gallery, in collaboration with RX and Hakgojae galleries, present Standing Man by Chung Hyun, a series of monumental sculptures in the garden of the Palais Royal. The Cernuschi Museum is organizing an exhibition of contemporary Korean art from the 1980s onwards along with a number of new rising talents. Introduced in 2015, the Solo Show section includes some 20 personal exhibitions scattered throughout the fair. This is an opportunity to discover or re-discover the work of modern or contemporary artists such as Syria’s Fadi Yazigi at Tanit Gallery, France’s Damien Cabane at Galerie Eric Dupont, Ronald Ventura from the Philippines at Galerie Primae Noctis, or Belgium’s Antoine Roegiers at Art Bärtschi & Cie whose work is inspired by Flemish painter Pieter Brueghel. Female artists are given pride of place with personal exhibitions of work by Claudine Drai (Galerie 111), Jan Haworth (Galerie du Centre), Carmen Perrin (Galerie Bob Gysin), Katinka Limpe (Galerie Les Filles du Calvaire), Ruby Rumie (Galeria NH) and Song Hyun Sook (Galerie Ditesheim & Maffei Fine Art). Promises sector is dedicated to the promotion of young galleries and emerging talents. It includes 12 galleries that are less than five years old and have never taken part in the fair. The selection for 2016 is following: 50 Golborne (London) , ART’LOFT Lee-Bauwens Gallery (Brussels), Bildhalle (Zurich), Galerie Béa-Ba (Marseille), Brandt Gallery (Amsterdam), Espace L (Geneva), Galerie Gouvernnec Ogor (Marseille), Galerie Valérie Delaunay (Paris), Maëlle Galerie (Paris), Christine Park Gallery (London), under construction (Paris), Yay Gallery (Baku). Designed for collectors and art professionals, the ‘Springtime in Paris’ VIP Programme aims to highlight the vibrancy of the Paris art scene and the new face of the French capital in the 21st century. A number of outstanding exhibitions are on during Art Paris Art Fair week including Daido Tokyo, Daido Moriyama at the Fondation Cartier, Pandora’s Box, another type of photography by Jan Dibbets at the Musée d’art moderne de la Ville de Paris, and many others. 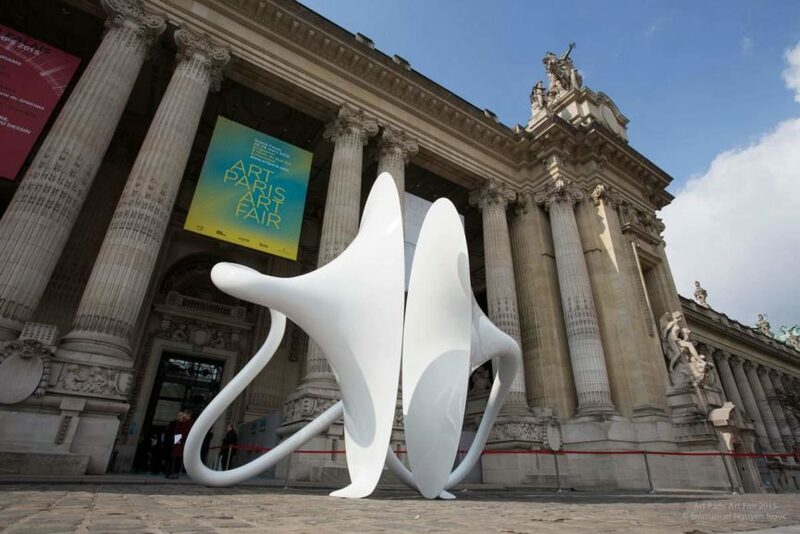 Art Paris Art Fair 2016 will take place from March 31 until April 3, 2016 at the Grand Palais. 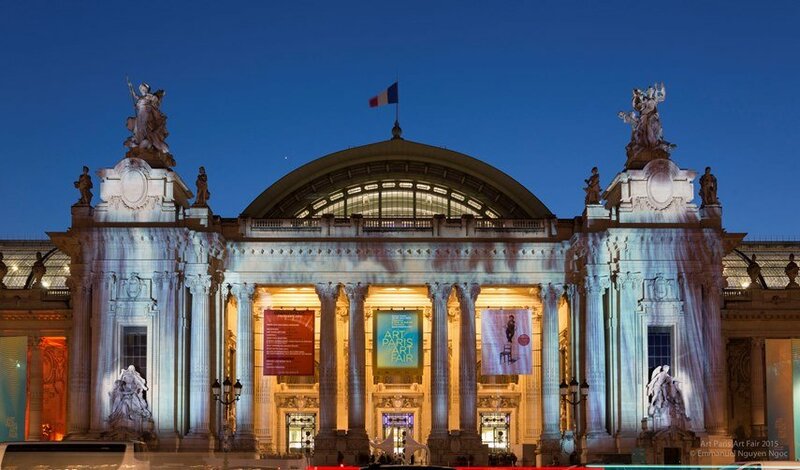 In partnership with Vidélio, the fair presents a selection of monumental digital mapping projections on the façade of the Grand Palais every night for the duration of the fair. Preview (by invitation only) is scheduled for Wednesday, March 30, 6-10pm. More information on tickets you can find on the official website of the art fair. Featured Images: Art Paris Art Fair 2015; Art Paris Art Fair during its 2015 edition. All images courtesy of Art Paris Art Fair.